Inspired by The Tempest, Indigo traces the scars of colonialism across continents, family blood-lines and three centuries. 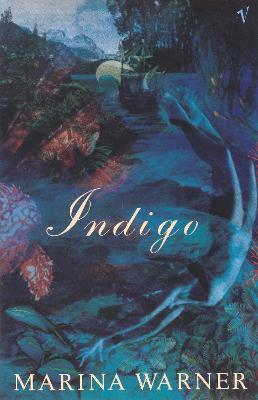 Rich, sensual and magical in its use of myths and fairytales Indigo explores the intertwined histories of the Everard family and the imaginary Caribbean island where Ariel, Caliban, and his mother, the healer and dyer of indigo, Sycorax once lived. "Her prose has never been so lyrical, as she yokes Shakespearean references, colonial history and her own sensual experience of the Caribbean with a powerful feminine myth-making"
Marina Warner spent her early years in Cairo, and was educated at a convent in Berkshire, and then in Brussels and London, before studying modern languages at Oxford. She is an internationally acclaimed cultural historian, critic, novelist and short story writer. From her early books on the Virgin Mary and Joan of Arc, to her bestselling studies of fairy tales and folk stories, From the Beast to the Blonde and No Go the Bogeyman, her work has explored different figures in myth and fairy tale and the art and literature they have inspired. She lectures widely in Europe, the United States and the Middle East, and is currently Professor in the Department of Literature, Film and Theatre Studies, University of Essex. She was appointed CBE in 2008.